It’s quite easy to start an agency. You almost certainly opened your doors with a couple of tame clients in your pocket (brave if you didn’t!). The next few came along by recommendation or just in through the window. You acquired clients because you’re you, you knew and handled them all, you pitched the creative, you helped with the strategy. And, of course, you ran the business. As you got bigger, things started to change. You couldn’t do it all. You hired more people. You had to ‘manage’ more and be with clients less. But, as you hire more people, you have to keep them busy. So you need to find more clients, even though you’re spreading yourself more thinly. Actually, the first thing you really need is a dedicated new business person but that’s a big commitment, and how you’ll ever find time to do new business yourself you have no idea. Yes, it’s quite easy to start a small agency. The thing is how do you turn a small one into a medium sized one? To do that you need a business development partner that can engage your agency with brands in the quickest way possible. Here’s the first conundrum – you want new business, but the most important thing is that it’s the right new business. And here’s the second conundrum – surprising as it may seem, you don’t want too much of it. Growth needs to be sustainable, pitching costs money, and no small agency can afford to be on a pitch list just for the sake of it. Identifying and engaging with hot prospects is all about finding brands that match agencies and vice versa. Get the right fit and it’s a recipe for success. So if you’re looking at a specialist new business agency, size doesn’t matter. It’s not about how big their database is, it’s about a cool consideration of your proposition and skill set, and the insight they bring to bear on who to set you up with. Girl walks into a bar in a beige twinset, beige skirt, flat shoes and an Alice band in her hair. No one notices. 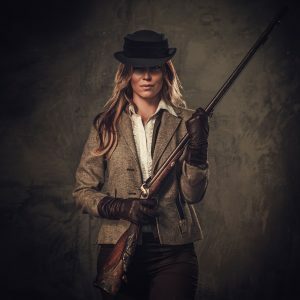 Girl walks into a bar in a tight dress, red stilettos, red belt and handbag, red lips and hair arranged in flamboyant cascades and everybody stops to look – and we’re not being sexist because all the girls in the bar look too. You only get one chance at a first impression. There are some things we’ve learned about First Dates – that first meeting with the new brand you hope will see you as their agency of choice. If you’re ambitious (and for some strange reason all of our agency clients are ambitious) you’re going to be wanting to punch above your weight. That almost certainly means you’re going to be outside of your comfort zone. We want to help this new relationship get off to the best possible start. So, quite simply, until our clients have done this a few times, we’ll offer to come along and ride shotgun with them. It’s still very much your meeting but it gives us a first-hand glimpse of how you sell the business. That improves our knowledge of your proposition which lets us align our approach, support you, better understand the parameters of negotiation and support you in any future meetings. Prior to the meeting we’ll also have thoroughly prepped you and qualified your date. Every opportunity comes with a super-charged report, detailing background to the organisation, key decision maker insights, relevance of their business to your value offering, details of the engagement and the opportunity and a 1 to 5-star opportunity rating. We all know why we’re at the meeting and what we want the output to be. We built our own business by getting our clients appointments with brands like these. Working with Bluestone was an absolute pleasure. The team was very professional and they managed to get our B2B sales process structured in no time to take full advantage of our leads and existing SalesForce implementation, enabling us to achieve maximum results. I can wholeheartedly recommend their services. We have been working with the team at Bluestone now for more than five years and during that time they have generated a number of high-value business opportunities. Many of these have led to real business and continue to provide a major contribution to our annual growth targets. Their innovative approach aligns well with our own culture and their support before, during and beyond new business meetings and opportunities has become an invaluable part of our sales process. Highly recommended. I have worked with Bluestone on two different projects and they have always delivered a great service and great results. I have actively recommended them to other clients too. In the past I have used other outsourced options for outbound marketing and new business development and Bluestone is by far the most effective I have worked with. Highly recommended. A short while ago I appointed Bluestone B2B to help me with sales development in a few specific sectors, one of which is Commercial Property Agents. Our approach at Mx2 Interiors is one of strategic long term relationships. Sheer volume and simply throwing numbers is not the way forward for our value proposition; understanding where service shortfalls are and how we can plug that gap is hugely important. Bluestone B2B get that and that is worth £'s to the right person. I am really pleased with the work that James and Duncan are doing for me, and I would recommend them to anyone who want more than just a telesales call (but I won't as I need them all to myself!!). Thanks James and Duncan. 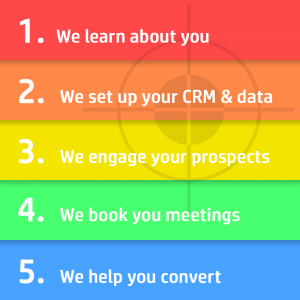 Bluestone has been worked with our company for several months on a lead generation programme. They were, without doubt, an expert in the field and have the ability to challenge and provide creative input on subject areas that require a steep learning curve. If you are looking for a BOOST in your lead generation or B2B marketing programmes then Bluestone is a great team to bring in. Being a technology company ourselves, we appreciated Bluestone’s use of technology to manage data and report back on results. The company and its people are extremely well organised and have a true understanding of the need to adapt to the culture of each client. They really understood our needs and remained flexible and committed to creating a win for all involved, which is something we really appreciate. I look forward to developing new opportunities with Bluestone in the future. 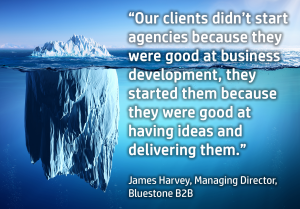 We have been working with Bluestone B2B for the last 12 months, partnering with them for our business development and telemarketing operation. Keeping on top of of prospective customers, making sure that our brand stands out from the competition and jumping on opportunities when they arise, is key to our business growth strategy. Bluestone understands our goals and the challenges we face and we work closely with their team to overcome them. The work that Bluestone has done for us over the past year has resulted in a several pieces of new business. We look forward to a continued pipeline of opportunities over the months and years to come. Bluestone engaged with us a short while ago with a view to supporting us with our business growth plan. As a leading Ecommerce agency with a niche offering (we are Magento specialists) it was important for us to find a business development partner that was able to get to grips with complex value propositions and articulate them at the highest level. Finding the right people to speak to in brands has always been a challenge for us. With Bluestone's support we have been able to develop a pipeline of decision makers and influencers and uncover some interesting new business opportinities. I'm looking forward to seeing how our relationship with Bluestone and their team develops over the coming months. Look at most new business agency websites and the funny thing is they don’t want to talk about money. We think that’s weird because surely money is what this is all about. We want you to swap your money for our time and talent so that you can swap your time and talent with money from interesting brands. OK so we’re not going to talk about rates. But as an ‘out-of-London’ agency we have a lower costs base which makes us more competitive commercially. Let’s just say this – if you’re considering talking to any sort of new business agency you’d be mad not to put us on your list. We interrogate your business until we understand it as well as you do – this bit involves you, but often we find our questions help you identify and articulate your proposition more clearly. We identify a list of prospect brands we think would be a good fit for your agency – you’re doing the day job while we’re on this. We persistently and continually reach out to the people who interest you using phone, email and LinkedIn – call us strange but we like doing that. As this requires no input from you whatsoever that’s even more day-job time in your bin. We make an appointment, we brief you, we’ll advise on your presentation, help you rehearse and we’ll even come along to the meeting with you if you want. After you have met with your perfect prospect, we’ll work closely with you to help turn them into your next customer. We’ve never understood why people put photographs of themselves on their websites. Is it vanity? Is it proof they’re not robots? Do they think that prospective clients will choose to work with them based on their visage? Possibly the opposite for that last one! Well, in case you hadn’t realised, the extremely cunning purpose of this excitingly insightful and inspiring web page is to SELL THE MEETING! That means if you want to see what we look like you’ll actually have to meet us. Because at the end of the day we want to be a part of your team. You are most welcome to visit, or we will happily come to yours. SO, WHAT’S NOT TO LIKE ABOUT WORTHING? If life’s a beach you might as well live and work near one and the one we’ve chosen is Worthing. In our minds no work-life balance is complete without the option of excellent fish and chips (life’s a beach and then you fry – good at any time of year) and ice-cream (better in summer). Occasionally people reading this site think they might like to join our team. If that’s the case we’re always happy to speak to talented individuals with a flair for communication. Give us a call on the number in the footer.